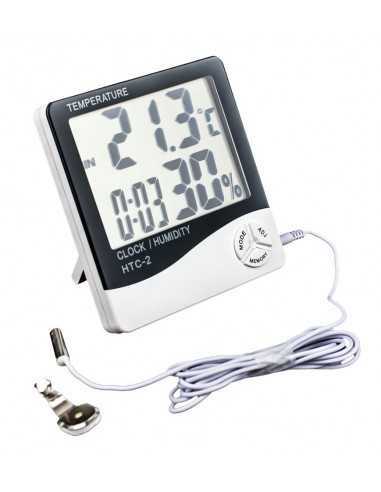 Digital hygrometer with large display to record maximum and minimum temperatures between -10 and +50 ° C.
It records the relative humidity between 20 and 99%. 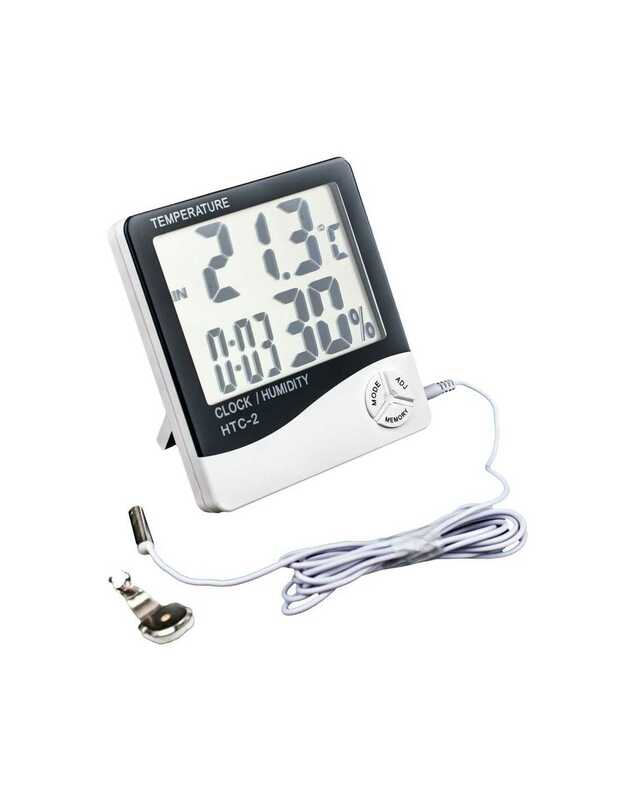 It has a temperature sensor for measuring two meters outdoors and whose range is from -50 ° C to +70 ° C.
The model may be different from the image. It is a device of great stability and precision with digital clock and calendar function.